Anya Opshinsky and Serena Adlerstein spent a week at Appalshop as part of a venture entitled Community Routes. Community Routes is a research-based road trip that seeks to celebrate community-centered art making throughout the country. From October 2015 to April 2016 Anya and Serena are visiting and learning from some of the artists and organizations that most inspire them in order to explore the connection between the arts and strong communities. 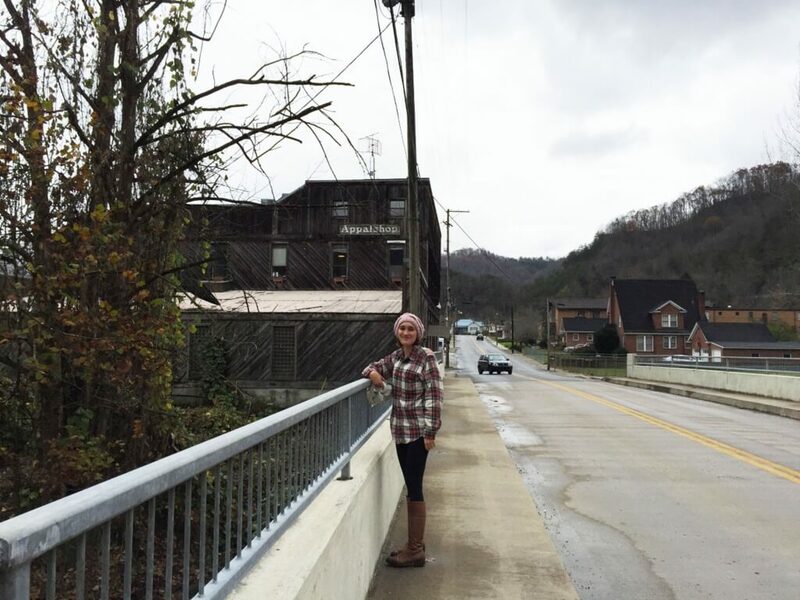 Serena in front of the Appalshop building in Whitesburg, KY. The first “task” we were given upon our arrival at Appalshop was to sit down and watch Appalshop’s widely acclaimed documentary Stranger with a Camera. It tells the story of how a Canadian filmmaker, Hugh O’Connor, was shot by Hobart Ison, a Letcher county native who felt that O’Connor was depicting Appalachia in a negative light. The film provides both a background on the area, as well as a thoughtful discussion on the ethics of portraying any community via film. As soon as we finished the film, Serena and I turned to one another, a myriad of thoughts running through our brains. As outsiders planning to write about this organization and region, how were we to approach this endeavor? Were we shown this film as a subtle hint? While questions of representation may have been something we considered occasionally on our journey, the film beautifully reinforced and reminded us how critical it is for communities to have control over how they are depicted through any medium. In only the first three or so hours of walking through Appalshop’s doors, we were beginning to realize the true power of Appalshop and what it looks like when people tell their own stories. We noticed intentionality in every aspect of Appalshop’s work. They prioritize a connection to the Appalachian region with all staff hires, for example. This specificity has led to a group of people who feel responsible and invested not only in the success of the organization, but also the future of eastern Kentucky and its residents in large part because it’s their own future. In fact, Dudley Cocke of Roadside Theater credits Appalshop’s success in part to its inaccessibility to those outside the community. When Appalshop first opened in 1969 federal supervisors were charged with overlooking the organization’s activities, but since it was located a few hours from any major airport, it was extremely difficult for those outside the community to check up on Appalshop’s work, limiting their tampering. Appalshop was and is able to truly respond to their own needs. While it may seem obvious why this model is successful, it is something with which many organizations similar to Appalshop struggle. As Appalshop produces incredible work about Appalachia, the word is spreading across the country. Serena first heard about Appalshop through a friend from West Virginia while she was living in New York. She then read Dudley Cocke’s work in college, and was a bit in awe when we met him and Donna Porterfield of Roadside Theater. Once in the offices in Whitesburg, the connections between us and Appalshop were made even clearer as we had met several former Appalshop employees in New York. We were amazed at how localized the work is, while how far its reach spans. 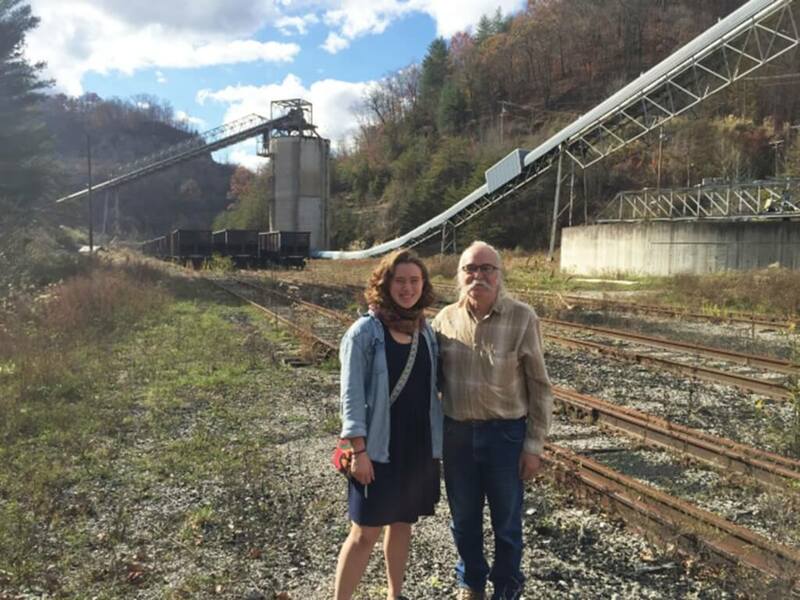 Before arriving in Letcher county, we knew little to nothing about the coal industry and its relationship to the people in the region. During our week in Whitesburg, we heard how the decline of the coal industry has made it necessary for Eastern Kentucky to find innovative industries that provide jobs, increase tourism and revitalize the economy. On a tour of Letcher county, it was strikingly clear how Whitesburg differs from the rest of its surrounding area. There are new restaurants in town, a cooperatively owned record store, new bars. This economic activity seems to be unparalleled in the region. Yes, unemployment is still high and yes, Whitesburg was recently made the only moist town in an otherwise dry county, but the activity happening in Whitesburg feels significant and connected to Appalshop’s presence. Whether it be the media training they are providing, the flow of people their history and success as an organization brings in from across the country, the cultural events they host, or the pride they exude for Appalachian traditions, Appalshop seems to be an invigorating force in Whitesburg. They are an example of how cultural organizations can promote entrepreneurial spirit, using arts and culture to build new ways of thinking, reinforcing tradition, and providing a sense of agency. They are a resource to politicians and community members alike who are seeking guidance in these endeavors. Through the years many have been discouraged by what the mountains have kept out — access to internet, ease of transit, etc. — Appalshop is a celebration of what the mountains kept in. This post was cross-posted from Anya and Serena’s blog, Community Routes.